Home / Nail Salon / Who are we? Welcome to Lilly Nails the nail salon. Your nails are in good hands with us. whether you are a nail biter or have problem nails or just want nice nails. There are 2 nail stylists working at Lilly Nails. Peggy Pieters (owner) has been working as a nail stylist since 2008. She is also a teacher of nail styling and importer of the Swedish brand Lilly Nails. This is a European approved brand and meets all the conditions required by the EU. In 2008 she followed the training at young nails and started the salon from home. In 2015 the brand Lilly Nails came along and became the importer of Lilly Nails for the Benelux. At least twice a year she goes to Sweden to attend additional training, she also regularly participates in workshops and perfection trainings in order to keep up with the latest techniques. Your nails are in good hands with Peggy. 1st prize achieved with a poster contest. Click .... to see the poster and the making of process. Peggy works in the nail salon on Wednesday, Thursday and Friday. 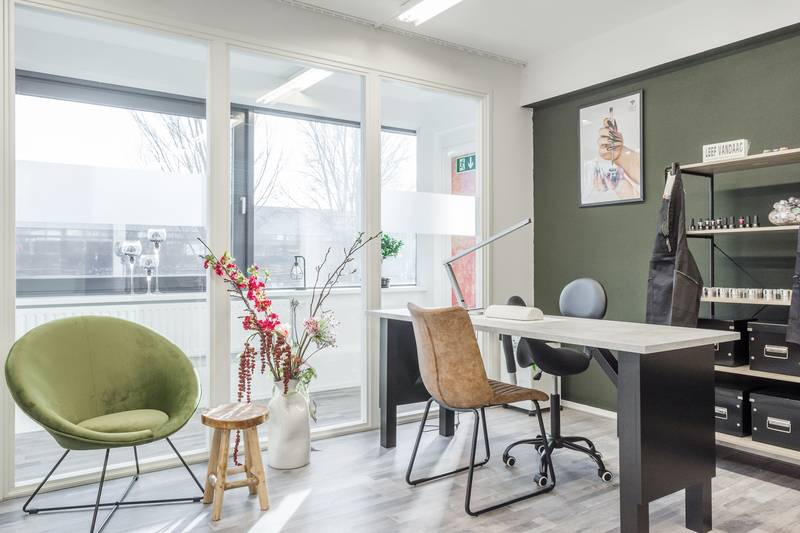 Judith de Beurs started in February 2019 with Lilly Nails. Judith is a very good nail stylist, but because she has not been in the business for so long, the treatments at her currently take an average of 30 minutes longer. The more often she works, the faster she becomes. My name is Judith de Beurs and I am from Purmerend. From February 2019 I will be working as a nail technician at Lilly Nails in Purmerend. Since I was about 15 years old, I am interested in the nail profession. My sister then came home from the nail salon once, with beautiful artificial nails. Not only did I find it very beautiful, I also became curious about the process of placing artificial nails. After a while, I also left artificial nails to myself, just to see how they did it. I watched with interest all the time. Soon I knew that I wanted to take a training as a nail technician. In September 2018 it was finally that far, and I started with enthusiasm for training as an all-round nail technician at Lilly Nails in Purmerend. Then I soon realized that I had found my passion. I am really looking forward to working at Lilly Nails as a nail technician! Judith works every Monday and Tuesday in the salon.